Are you wondering how to verify your GPA for scholarships or in preparation for the National Conference in March 2019? Check out this how-to video for all the deets! The second North America friendly Code Jam kickstart session is coming up on Sunday, September 30th. 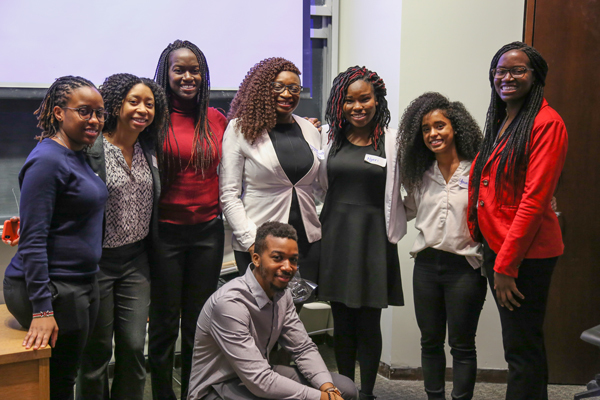 As a reminder, Kickstart hosts online rounds throughout the year giving you the opportunity to test and grow your coding abilities, while getting a glimpse into the programming skills needed for a technical career at Google. The top participants from each round may be contacted by a Google recruiter. Start working your way through past problems. Be sure to check out our “Quick-Start” Guide, Terms and Conditions, FAQs and our YouTube Live session where Kickstart alumni (now Google engineers!) give tips on how to compete. If you have any questions, reach out to codejamkickstart@google.com. Hope to see you on the scoreboard! We are excited to welcome the 2T2s. Welcome to the University of Toronto! 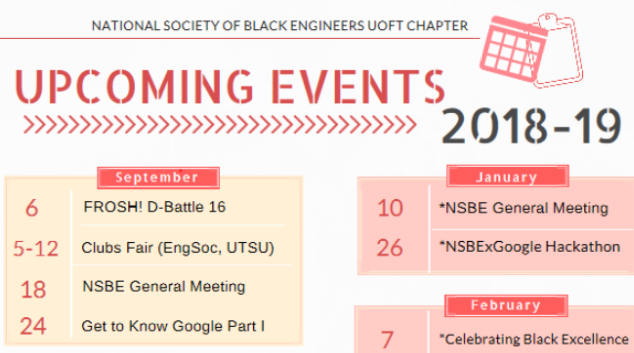 NSBE U of T has a lot of things in store for you this year. 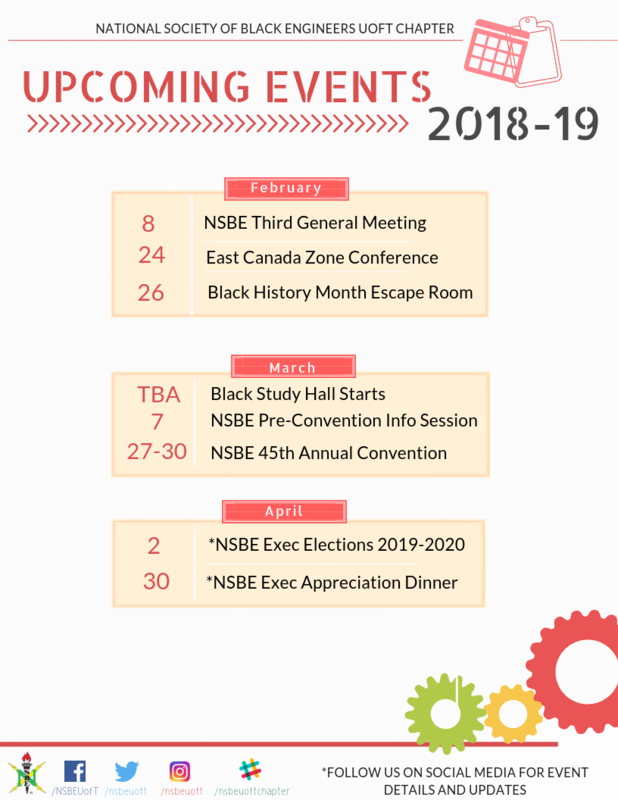 Join us in our upcoming NSBE General meeting to find out more about the events and programs we have this year as well as get to know the exec team and other NSBE members.